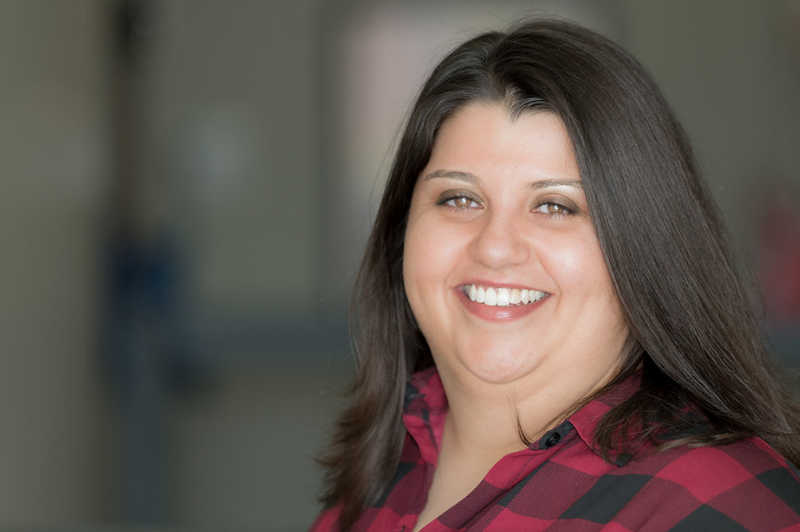 Jillene Khan is an award-winning radio personality from the Midwest, currently serving as Afternoon Host and Social Media Director for Mid-West Family Broadcasting's WMGN (Magic 98) in Madison, Wisconsin. Growing up in Minneapolis, Minnesota, the radio was always on and Jillene was quickly drawn to the personalities she heard in between the music, and how much fun these people were having at work! Her family was the recipient of a “Christmas Wish” from the Dave Ryan in the Morning Show on legendary KDWB in Minneapolis when she was a pre-teen, and she met syndicated personality, Delilah, at a separate radio station event around the same age – both events get credit for planting the seed in her to find her own path in radio. Jillene pursued radio broadcasting after high school and graduated with an Associate’s Degree in Radio Broadcasting from Brown College (St. Paul, MN) in 2006. She accepted an internship shortly after graduation, working for one of her idols and Twin Cities radio legend, Tony Fly. In that position, she said yes to every opportunity and eventually was able to host her first on-air shift in her hometown on KTTB, B96. For nearly five years, Jillene continued to work with the Tony Fly Morning Show as Assistant Producer, hosting her own weekend shows, and continuing to say yes. In 2010, the opportunity to be on-air full time came up, and Jillene moved south to the Quad Cities to be the Afternoon Host on heritage country station, WLLR. She spent nearly five years in Iowa, during which time the station picked up a CMA Award for Small Market Station of the Year. In 2015, Jillene moved to Milwaukee after accepting a position with newly flipped, KTI Country (WKTI). During her time in there, she was honored with five awards from the Wisconsin Broadcasters Association, including Best Radio Show, Best Interview, and Best Sports Coverage for her work with the voice of the Green Bay Packers, Wayne Larrivee. Jillene has been in Madison at Magic 98 since November 2017 and can be heard weekday afternoons. She completed the MIW's Rising Through The Ranks training in Nashville as a part of the Class of 2017. Jillene has continued to give back to the broadcasting community by speaking to local high school and college students about opportunities in radio, and being involved in the Midwest's premiere Conclave Radio Conference.